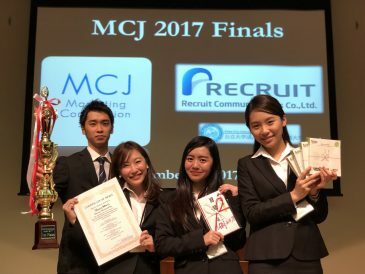 Two teams from Dr.Fukuoka’s seminar won the 1st and 2nd prizes at the Marketing Competition Japan 2017. On December 9th, Team Share Marri ( Shohei Horiuchi/Senior, Rio Nakamura/Senior, Sachiko Kosaka/Senior, Angel Lynn Gallos/Senior) and Team MYMY (Mari Ishida/Senior, Yuka Nakamura/Senior, Manaki Ishimura/Junior, Yu Goto/Junior) from Dr. Fukuoka’s seminar won the first and the second prize respectively at the final round of the Marketing Competition Japan 2017 held at Kobe City University of Foreign Studies. 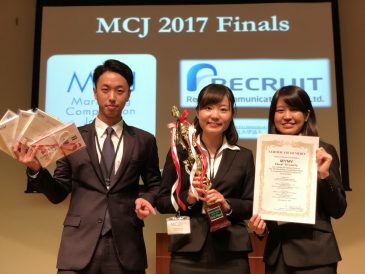 “I was glad to win the first prize. 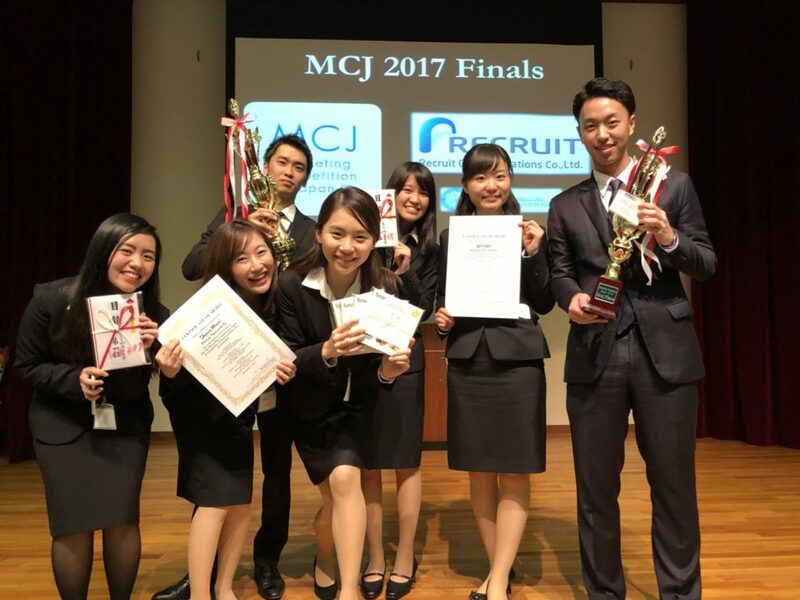 Through MCJ, we were able to show the underlying strength of GIS”, said Shohei Horiuchi, a member of the winning team. Dr. Fukuoka was also thrilled with the performance “I’m very happy that their great efforts finally paid off. It is significant in that it was a ‘team’ that achieved the great results, rather than ‘individuals’. Seminar members who could not make it to the final round also supported them. I’m very proud of all my seminar students”. This sentiment was echoed by Manaki Ishimura who said “Although the result was not best, our group was able to show the best teamwork and enjoyed the competition”.